Peter's career spans 40 years in engineering geology, environmental geology and hydrogeology working in private and public sectors, investigating the geology, geomorphology, soils, groundwater and geohazards in south west Victoria. He has been influential in applying his scientific knowledge to direct policy on salinity, soils and catchment management. Peter is well-known as a science communicator by his students and community groups, and as an independent advisor to Catchment Management Authorities, water authorities and municipalities in the region. With his colleagues at CeRDI, Peter's current research focuses on spatial data interoperability and visualisation to ensure that environmental data, information and knowledge are globally and publicly available. He is an active collaborator on the development of international data exchange standards and a participant in national Cooperative Research Centres. Peter's passion is for establishing data democracies. Ebbs, D., Liubinas, A., Barton, A., Dahlhaus, P., & Kandra, H. (in press). A different perspective on understanding the barriers of IUWM adoption: The strategic assessment triangle. Australasian Journal of Water Resources. Ebbs, D., Dahlhaus, P., Barton, A., & Kandra, H. (in press). The complexity of streamflow downstream of an urban centre. Urban Water Journal. Marsden, P., Miner, A.S., & Dahlhaus, P.G. (2011). The implementation of the AGS Guidelines in the Colac Otway Shire - History and challenges. Australian Geomechanics Journal, 46(2), 211-218. Miner, A.S., Flentje, P., Mazengarb, C., Selkirk-Bell, J.M., & Dahlhaus, P.G. (2011). Some geomorphological techniques in constraining the likelihood of landsliding - Selected Australian examples. Australian Geomechanics Journal, 46(2), 195-202. Muller, B.J., Dahlhaus, P.G., & Miner, A.S. (2006). Coastal rockfall hazard identification, Barwon Heads, Victoria. Australian Geomechanics Journal, 41(3), 85-91. Dahlhaus, P.G., & Miner, A.S. (2002). Implementing the AGS Landslide Risk Management Guidelines in a municipal planning scheme - A case study in the Colac Otway Shire, Victoria. Australian Geomechanics Journal, 37(2), 199-211. Dahlhaus, P.G., & Miner, A.S. (2001). Estimating the occurrence of rockfalls in columnar basalt. Australian Geomechanics Journal, 36(2), 1-6. Dahlhaus, P.G. (2010). Salinity Risk in the Corangamite Region, Australia. PhD thesis. School of the Environment, Flinders University, Adelaide. 217p. Dahlhaus, P.G. (1988). Engineering geological mapping for the urban development of Melton, Victoria. M App Sci thesis. Applied Geology, RMIT, Melbourne. 190p. Al Mandalawi, M., Sabry, M., Dahlhaus, P., & Dowling, K. (2018). Extension strain initiation and distribution around open pit slope. IC3G2018 International Conference on Geo-mechanics, Geo-energy and Geo-resources, September 22 - 24, 2018, Sichuan University, Chengdu, China. Ebbs, D., Dahlhaus, P., Barton, A., & Kandra, H. (2018). Exploring a flow regime and its historical changes downstream of an urbanised catchment. 'Creating Water Sensitive Communities' 10th International Conference on Water Sensitive Urban Design, 12th - 15th February 2018, Perth, Australia. Ebbs, D., Dahlhaus, P., Barton, A., & Kandra, H. (2018). Losing stormwater: 60 years of urbanisation and reduced downstream flow. 'Creating Water Sensitive Communities' 10th International Conference on Water Sensitive Urban Design, 12th - 15th February 2018, Perth, Australia. Kitagawa, H., Dahlhaus, P.G., & Ii, H. (2018). Estimation of the Lake Colac water balance using stable isotopic ratio of water, amount of precipitation and evaporation values in Victoria, Australia. SEE2018, 4th International Conference on Science, Engineering & Environment, November 12 - 14 2018, Nagoya, Japan. The GEOMATE International Society. Kitagawa, H., Dahlhaus, P.G., & Ii, H. (2018). Groundwater and surface water interaction for Lake Colac using stable isotopic ratio of water, amount of precipitation and evaporation values in Victoria, Australia. Groundwater and Life: Science and Technology into Action. 45th IAH Congress, September 9th - 14th, 2018, Daejeon, Korea. International Association of Hydrogeologists. You, G., Jaggi, N., Al Mandalawi, M., Dowling, K., & Dahlhaus, P. (2018). Effect of faults on stability of partially saturated rock slope. IC3G2018 International Conference on Geo-mechanics, Geo-energy and Geo-resources, September 22 - 24, 2018, Sichuan University, Chengdu, China. Dahlhaus, P., & MacLeod, A. (2017). Towards data democracy in groundwater science. Australian Groundwater Conference, 11–13 July 2017, University of New South Wales, Sydney, Australia. Mendes de Jesus, J., Ribeiro, E., Medyckyj-Scott, D., Ritchie, A., Wilson, P., Dahlhaus, P., Gregory, L., MacLeod, A., & Simons, B. (2017). SoilML data exchange format and soil web services. Pedometrics 2017, 26 June-1 July (2017), Wageningen, The Netherlands. Dahlhaus, P.G., & MacLeod, A. (2017). Towards data democracy in groundwater science. Groundwater Futures: Science to Practice, Australian Groundwater Conference, 11-13th July 2017, UNSW, Sydney. Book of Abstracts p.169. You, G., Al Mandalawi, M., Soliman, A., Dowling, K., & Dahlhaus, P. (2017). Finite element analysis of rock slope stability using shear strength reduction method. GeoMEast 2017 International Conference, 'Sustainable civil infrastructures: innovative infrastructure geotechnology', 15-19 July 2017, Sharm El-Sheik, Egypt. Dahlhaus, P., Nicholson, C., Ryan, B., MacLeod, A., & Milne, R. (2016). Liberating soil data for profitable agriculture and catchment health in the Corangamite region, Australia. 'Soil, a balancing act downunder'. A joint conference of the New Zealand Society of Soil Science and Soil Science Australia. 12-16 December, Queenstown, New Zealand. Poster Abstracts, p. 152. Dahlhaus, P., Milne, R., Nicholson, C., Midwood, J., Breust, P., & Limmer, S. (2016). Soil sensor data for profitable agriculture. 'Soil, a balancing act downunder'. A joint conference of the New Zealand Society of Soil Science and Soil Science Australia. 12-16 December, Queenstown, New Zealand. Oral Abstracts, p.54. Ritchie, A., Medyckyj-Scott, D., Wilson, P., Simons, B., Dahlhaus, P., MacLeod, A., Roudier, P., Gregory, L., & Watson, B. (2016). Developing a global soil data infrastructure - The Open Geospatial Consortium Soil Data Interoperability Experiment. Soil, a Balancing Act Downunder. Joint conference of the New Zealand Society of Soil Science and Soil Science Australia. 12-16 December 2016, Queenstown, New Zealand. Oral Abstracts, p. 112. Ebbs, D., Kandra, H., & Dahlhaus, P. (2016). The journey to a Water Sensitive City - A case study of Ballarat, Victoria, Australia. Water Infrastructure & the Environment, 56th New Zealand Hydrological Society, 37th Australian Hydrology and Water Resources Symposium and 7th IPENZ Rivers Group. 28 November 2 December, Queenstown, New Zealand. Dahlhaus, P., MacLeod, A., & Thompson, H. (2016). Discovering the known unknowns: interoperably federating data to reduce the risk of past mistakes. EcoForum conference and exhibition (Australasian Land and Groundwater Association). 25-28 October, Freemantle, Australia. Dahlhaus, P. (2016). Smart cities and smart regions: empowering citizens with data democracy. Newtech Ballarat - Preserving heritage in a Smart City (SIBA and DELWP). 25 October, Ballarat, Australia. Bann, G., Rengasamy, P., & Dahlhaus, P. (2016). Apparent dryland salinity on the Australian uplands: causes, mechanisms, effects, mapping and management. 35th International Geological Congress. 27 August - 4 September, Cape Town, South Africa. Hansen, B., Pitfield, C., MacLeod, A., Novak, C., Nilsson, K., Dahlhaus, P., & Thompson, H. (2016). South West Climate Change Portal: using internet knowledge sharing and novel visualisations to engage community with climate science. Climate Adaptation 2016, 5-7 July 2016, Adelaide, Australia. Ebbs, D., Dahlhaus, P., & Kandra, H. (2016). Ballarat's journey to a water sensitive city. 'Working together to build strong Regional Futures' RUN Regional Futures Conference, 21-24 June 2016, Central Queensland University, Rockhampton, Australia. Murphy, A., Dahlhaus, P., & Thompson, H. (2016). Historic Urban Landscapes and Visualising Ballarat: citizen participation for sustainable urban planning and design. Locate 16: Distruptive Technology for a Smarter Society, 12-14 April 2016, Melbourne, Australia. Murphy, A., Thompson, H., & Dahlhaus, P. (2016). Making intangibles tangible: visualisation informing, engaging and empowering community for embedding cultural heritage within the public domain. EVAA 2016: Electronic Visualisation and the Arts Australasia, 5-6 March, 2016, Canberra, Australia. Simons, B., Nation, E., & Dahlhaus, P. (2015). Improving access to groundwater data using GroundWaterML2. 36th Hydrology and Water Resources Symposium, 7-10 December, 2015, Hobart. Jayasooriya, M., Barton, A., Dahlhaus, P., & Gell, P. (2015). An assessment of the monitoring methods for inflow and infiltration in sewer networks. 36th Hydrology and Water Resources Symposium, 7-10 December, 2015, Hobart, Australia. Dahlhaus, P., Milne, R., Hansen, B., MacLeod, A., Thompson, H., Murphy, A., & Graymore, M. (2015). The NRM Planning Portal: matching regional and local priorities to identify partnership opportunities in catchment management. Australian Citizen Science Conference 2015: Maximising the Capacity of Citizen Science for Science and Society, 23-24 July 2015, Canberra, Australia. Almandalawi, M., You, G., Dahlhaus, P., Dowling, K., & Sabry, M. (2014). Slope stability and rockfall hazard analysis in an open pit zinc mine. Proceedings, GEOMATE2014 - the 4th International Conference on Geotechnique, Construction Materials and Environment, 19-21 November 2014, University of Southern Queensland, Brisbane, Australia. Shugg, A., & Dahlhaus, P. (2014). A model for the origin of carbonated mineral waters of Central Victoria. No. 73. Mineral Waters: Genesis, Exploitation, Protection and Valorisation. Abstracts, MinWat2014, International Multidisciplinary Conference on Mineral Waters, 8-11 September 2014, Karlovy Vary (Carlsbad), Czech Republic. Thompson, H., Dahlhaus, P., & MacLeod, A. (2014). The hype and the hope: progressing towards big data insights for regional communities. Abstracts, p.53. Digital Rural Futures Conference, Regional Futures. Agricultural Futures. Digital Futures, 25 27 June 2014, University of Southern Queensland, Toowoomba, Australia. Milne, R., Dahlhaus, P., Nicholson, C., Thompson, H., MacLeod, A., Feely, P., McCue, T., Gillet, H., & Corbett, J. (2014). Online Farm Trials: a research repository for Australian grain growers. Abstracts pp. 20-21. Digital Rural Futures Conference, Regional Futures. Agricultural Futures. Digital Futures, 25-27 June 2014, University of Southern Queensland, Toowoomba, Australia. Dahlhaus, P., MacLeod, A., McKenna, K., & Milne, R. (2014). On-line information to maximise soil health. Abstracts pp.80-81. Digital Rural Futures Conference, Regional Futures. Agricultural Futures. Digital Futures, 25-27 June 2014, University of Southern Queensland, Toowoomba, Australia. Dahlhaus, P., Currell, M., & Ii, H. (2013). Assessing groundwater contributions to wetlands. Abstracts p23. Ramsar conference, 5-8 November 2013, Queenscliff, Australia. Dahlhaus, P., MacLeod, A., & Thompson, H. (2013). Addressing the limitations of federated groundwater bore data. Abstracts p.194. Solving the Groundwater Challenges of the 21st Century. 40th IAH Congress, 15-20 September 2013, Perth, Australia. MacLeod, A., Dahlhaus, P., Thompson, H., James, A., & Cox, M. (2013). Web-based visualisation of 3D groundwater models. Abstracts pp. 193-194. Solving the Groundwater Challenges of the 21st Century. 40th IAH Congress, 15-20 September 2013, Perth, Australia. Corcoran, J., Dahlhaus, P., & Thompson, H. (2013). It's all about the data - a 21st Century value proposition. Abstracts pp. 228-229. Solving the Groundwater Challenges of the 21st Century. 40th IAH Congress, 15-20 September 2013, Perth, Australia. Miyahara, S., Ii, H., & Dahlhaus, P. (2013). Proposal of measurement method for evaporation rate for surface water using oxygen isotope in dry and humid area. Abstracts pp. 163-164. Solving the Groundwater Challenges of the 21st Century. 40th IAH Congress, 15-20 September 2013, Perth, Australia. Abraham, J., & Dahlhaus, P. (2013). Partitioning of climate change and anthropogenic impacts on groundwater level fluctuations in the Warrion area of southern Australia. Abstracts p.229. Solving the Groundwater Challenges of the 21st Century. 40th IAH Congress, 15-20 September 2013, Perth, Australia. MacLeod, A., Dahlhaus, P., & Thompson, H. (2013). Federating groundwater data for Victoria - the challenge of interoperability. Abstracts p.48. Digital Rural Futures. Smart Farms - Smart Regions, 26-28 June 2013, University of New England, Armidale, Australia. Dahlhaus, P., Thompson, H., & MacLeod, A. (2013). Interoperable data - a researcher's dream? Abstracts p.43. Digital Rural Futures. Smart Farms - Smart Regions, 26-28 June 2013, University of New England, Armidale, Australia. Currell, M., Dahlhaus, P.G., & Ii, H. (2012). Conceptual models of ground-surface water interaction in the Connewarre Complex. Abstracts. 15th International RiverSymposium, 8-11 October 2012, Melbourne, Australia. Dahlhaus, P.G., MacLeod, A., & Thompson, H. (2012). An interoperable federation of hydrogeological research data for Victoria, Australia. Abstract No. 579, p.207. Confronting Global Change. 39th IAH Congress, 16-21 September 2012, Niagara Falls, Canada. Dahlhaus, P.G., Currell, M., & Ii, H. (2012). Developing conceptual models of groundwater -surface water interactions and salinity sources in a high-value estuarine wetland complex. Abstract No. 571, p.309. Confronting Global Change. 39th IAH Congress, 16-21 September 2012, Niagara Falls, Canada. Dahlhaus, P., MacLeod, A., & Thompson, H. (2012). Federating hydrogeological data to visualise Victoria's groundwater. Abstract No. 1382, p.592.Proceedings of the 34th International Geological Congress 2012, 5-10 August 2012, Brisbane, Australia. Dahlhaus, P., Miner, A., Dunn, R., & Ackroyd, M. (2012). Geohazard assessment of sea caves at Port Campbell. Abstract No. 3223, p.3192. Proceedings of the 34th International Geological Congress 2012, 5-10 August 2012, Brisbane, Australia. Dahlhaus, P.G., MacLeod, A.D., & Thompson, H.C. (2011). UB spatial - an interoperable groundwater database. Programme and abstracts p.131. 11th Australasian Environmental Isotope Conference and 4th Australasian Hydrogeology Research Conference, 12-14 July, 2011, Rydges Tradewinds, Cairns, Australia. Barton, A.B., Dahlhaus, P.G., & Elmahdi, A. (2008). Modelling of a groundwater system to assess links between reduced rainfall and falling groundwater levels. In: Western Pacific Geophysics Meeting; 29 July - 1 August 2008; Cairns. 2008. Thompson, H., MacLeod, A., & Dahlhaus, P. (2008). Spatial infrastructure, information access and knowledge building. Proceedings, 11th Australian Conference on Knowledge Management and Intelligent Decision Support (ACKMIDS), 8-10 December 2008, University of Ballarat, Ballarat, Australia. MacEwan, R.J., Dahlhaus, P.G., & Fawcett, J. (2008). Hydropedology, geomorphology and groundwater processes hold the keys to land degradation - case studies in SW Victoria, Australia. Abstracts, p.64. Proceedings, 1st International Hydropedology Conference, 28-31 July 2008, The Pennsylvania State University, University Park, PA, USA. Miner, A.S., Flentje, P., Mazengarb, C., Selkirk-Bell, J.M., & Dahlhaus, P.G. (2008). A review of some geomorphological techniques in constraining the likelihood of landsliding - selected Australian examples. (Eds ZY Chen, ZW Li, Z Fa-Quan, KW Jain-Min) Proceedings of the 10th International Symposium on landslides and engineered slopes: past to the future, 30 June-4 July 2008, Xi'an, China. Herczeg, A., Barton, A., & Dahlhaus, P. (2008). Hydrochemical methods for rapid assessment of groundwater contribution to Wetlands. Eos Trans. AGU, 89(23), Western Pacific Geophysical Meeting Supplement, Abstract H34A-01. Available at http://abstractsearch.agu.org/meetings/2008/WP/H34A-01.html Western Pacific Geophysics Meeting, 29 July-1 August 2008, Cairns, Australia. Dahlhaus, P.G., & Fawcett, J. (2008). Salinity without rising watertables: salinity processes and risk assessment in south-west Victoria, Australia. 2nd International Salinity Forum. Salinity, water and society - global issues, local action, 30 March-4 April2008. Adelaide, Australia. (on CD). Fawcett, J., Norton, R., Dahlhaus, P., Fitzpatrick, R., & Gardner, W. (2008). Dryland salinity associated with primary groundwater discharge zones in south west Victoria. 2nd International Salinity Forum. Salinity, water and society - global issues, local action, 30 March-4 April 2008, Adelaide, Australia. (on CD). Barton, A.B., Herczeg, A.L., Dahlhaus, P.G., & Cox, J.W. (2007). Quantifying groundwater dependence of wetlands in a volcanic plain, south-eastern Australia. Groundwater and Ecosystems. Proceedings of the XXXV IAH Congress, 17-21 September, Lisbon, Portugal. MacEwan, R.J., Dahlhaus, P.G., & Fawcett, J. (2006). Hydropedology, geomorphology and groundwater processes hold the keys to land degradation - case studies in SW Victoria, Australia. Abstract 107-114, p231. 18th World Congress of Soil Science, 'Frontiers of Soil Science', 9-15 July 006, Philadelphia, PA, USA. Dahlhaus, P.G. (2006). A standard approach to salinity risk management. Extended abstracts. Australian Earth Sciences Convention, 2-7 July 2006, Melbourne, Australia. Dahlhaus, P.G., Miner, A.S., Feltham, W., & Clarkson, T.C. (2006). The impact of landslides and erosion in the Corangamite region, Victoria, Australia. 'Engineering geology for tomorrow's cities' 10th IAEG Congress, 6-10 September 2006, Nottingham, UK. Miner, A.S., & Dahlhaus, P.G. (2006). Geohazard risk management for municipal planning in the Corangamite region, Victoria, Australia. 'Engineering geology for tomorrow's cities' 10th IAEG Congress, Nottingham, UK, 6-10 September 2006. Smitt, C.M., Cox, J.W., & Dahlhaus, P.G. (2005). Defining a framework for managing saline dependent and affected ecosystems: Glenelg Hopkins CMA case study. 'Where waters meet.' International Association of Hydrogeologists. Proceedings NZHS-IAH-NZSSS Auckland 2005 Conference, 28 November-2 December 2005, Auckland, New Zealand. Dahlhaus, P.G., & Cox, J.W. (2005). Geomorphic and historical evidence of salinity in the Corangamite region, Australia - Implications for current salinity management. Poster presentation abstracts, pp. 47-50. International Salinity Forum. Managing Saline Soils and Water: Science, Technology, and Social Issues, 25-27 April 2005, Riverside, California. Cox, J.W., Smitt, C.M., & Dahlhaus, P.G. (2005). A framework for setting salinity targets: Glenelg Hopkins CMA case study. Oral presentation abstracts, pp. 133-136. International Salinity Forum. Managing Saline Soils and Water: Science, Technology, and Social Issues, 25-27 April 2005, Riverside, California. Dahlhaus, P.G. (2005). Salinity risk management. UrbanSalt 2005 Seminar: Risk, Responsibility and Local Government, 13 September 2005, Blacktown Council, Blacktown, Sydney, Australia. Hughes, M.J., Carey, S.P., & Dahlhaus, P.G. (1999). Controls of placer gold deposition in the Victorian gold province. Workshop abstracts. Exploring ancient landscapes, Minerals Group, Primary Industries and Resources SA (PIRSA), Adelaide, 10 December 1999, Adelaide, Australia. Dahlhaus, P.G., & Miner, A.S. (1998). Stability of clay slopes in south west Victoria, Australia. Vol. III, pp. 1551-1557. Proceedings of the 8th International Congress of the International Association for Engineering Geology and the Environment, 21-25 September 1998, Vancouver, Canada. Fawcett, J., & Dahlhaus, P.G. (1998). Regolith hydrology of the Dundas Tablelands - an investigation of soil waterlogging and salinity. Abstract 49. p.138. Geological Society of Australia 14th Australian Geological Convention, 6-10 July 1998, Townsville, Australia. Dahlhaus, P.G., & MacEwan, R.J. (1997). Land degradation in dissected Tertiary sediments as a result of tree clearing. Abstracts p.8. GEOENV '97 International Symposium on Geology and Environment, 1-5 September 1997, Istanbul, Turkey. MacEwan, R.J., & Dahlhaus, P.G. (1997). Environmental planning and community participation - an Australian case study. Abstracts p.222. GEOENV '97 International Symposium on Geology and Environment, 1-5 September 1997, Istanbul, Turkey. Dahlhaus, P.G., & MacEwan, R.J. (1996). A new conceptual model for salinity processes on the eastern Dundas Tablelands, Victoria - implications for the land manager. Abstract 41, p.104. Geological Society of Australia, 13th Australian Geological Convention, 19-23 February 1996, Canberra, Australia. Dahlhaus, P.G., & MacEwan, R.J. (1996). Dryland salinity in south west Victoria - questioning the myth. Abstracts Vol. 2, pp.57-58, Australian and New Zealand National Soils Conference, 1-4 July 1996, The University of Melbourne, Parkville, Australia. Dahlhaus, P.G., & MacEwan, R.J. (1996). Dryland salinity in the eastern Dundas Tablelands - a new conceptual model. Abstracts, Vol. 3, pp. 53-54, Australian and New Zealand National Soils Conference, 1-4 July 1996, The University of Melbourne, Parkville, Australia. Dahlhaus, P.G., Buenen, B.J., & MacEwan, R.J. (1996). Landslide studies in the Heytesbury Region, south west Victoria. Abstracts, Vol. 3, pp. 55-56. Australian and New Zealand National Soils Conference, 1-4 July 1996, The University of Melbourne, Parkville, Australia. MacEwan, R.J., & Dahlhaus, P.G. (1996). Raising the profile with Western District farmers - soils training for the landholder. Abstracts, Vol. 2, pp. 157-158. Australian and New Zealand National Soils Conference, 1-4 July 1996, The University of Melbourne, Parkville, Australia. MacEwan, R.J., & Dahlhaus, P.G. (1996). Hydrology, pedology and dryland salinity in the granitic landscape of the Upper Woady Yaloak Catchment: implications for management. Abstracts, Vol. 2, pp. 155-156. Australian and New Zealand National Soils Conference, 1-4 July 1996, The University of Melbourne, Parkville, Australia. MacEwan, R.J., Dahlhaus, P.G., Robertson, E.H., & Eldridge, R.E. (1996). Waterlogging and dryland salinity as influenced by pedogeomorphic history in the Simpson area. Abstracts, Vol 3, pp. 145-146. Australian and New Zealand National Soils Conference, 1-4 July 1996, The University of Melbourne, Parkville, Australia. Allan, C., Beange, L., Bi, R., Cockfield, G., Dahlhaus, P., Duan, S., Falepau, D., Friend, J., Higgins, V., Jenkins, A., Leith, P., Luke, H., Miles, M., Minkey, D., Pembleton, K., Saravanamuthu, K., & Doran-Browne, N. (2018). Scoping systems of acceptance of improved soil management, with a focus on decision support systems and tools. Newcastle, Australia: Cooperative Research Centre for High Performance Soils. Dahlhaus, P.G. (2018). Barwon Downs Borefield: Review of literature and identification of issues. Ballarat, Australia: Centre for eResearch and Digital Innovation, Federation University Australia. Dahlhaus, P.G. (2018). Gilgai and reactive soil geohazards in the City of Melton, including the Planning Application for a Place of Worship at 171-197 Harkness Rd, Harkness. Ballarat, Australia: Centre for eResearch and Digital Innovation, Federation University Australia. Pembleton, K., Ghahramani, A., Kodur, S., Kath, J., Dahlhaus, P., Whatmuff, M., Li Liu, D., & Saravanamuthu, K. (2018). Soil models, tools and data: Current state of play, future directions and setting up for longevity and a legacy from the CRC for High Performance Soils. Newcastle, Australia: Cooperative Research Centre for High Performance Soils. Dahlhaus, P.G. (2015). Corangamite soil health research project: Literature review and gap analysis. Ballarat, Australia: Centre for eResearch and Digital Innovation, Federation University Australia. Dahlhaus, P.G. (2015). Expert witness report: 11 Northgate Drive, Melton West, Victoria. Victorian Civil and Administrative Tribunal - VCAT reference No. D1239/2013. Ballarat, Australia: Goldsmiths Lawyers. Dahlhaus, P.G. (2014). Expert witness report: Stanley Rural Community Inc. Victorian Civil and Administrative Tribunal - VCAT reference No. P793/2014. Ballarat, Australia: Centre for eResearch and Digital Innovation, Federation University Australia. Dahlhaus, P.G. (2013). Colac Otway Shire salinity management overlay - Revision of boundaries (January 2013). Buninyong, Australia: Dahlhaus Environmental Geology Pty Ltd.
Dahlhaus, P.G. (2013). Expert witness report: Colac Otway Shire salinity management overlay (April 2013). Buninyong, Australia: Dahlhaus Environmental Geology Pty Ltd.
Dahlhaus, P.G. (2013). Hydrogeology of Geelong: Literature review and gap analysis. Buninyong, Australia: Dahlhaus Environmental Geology Pty Ltd.
Dahlhaus, P.G., & Currell, M.J. (compilers) (2013). Excursion notes. IAH-AIG Victoria 2013 Field excursion 'Hydrogeology and geomorphology of the Lake Connewarre Complex', 23 November 2013. Dahlhaus, P.G., & Reeves, J. (compilers) (2013). Excursion notes. Ramsar Workshop 'Detecting change in ecological character'. 5-8 November 2013. Queenscliff, Australia. Dahlhaus, P.G. (2012). Colac Otway Shire salinity management overlay: Review of mapping boundaries. Buninyong, Australia: Dahlhaus Environmental Geology Pty Ltd.
Dahlhaus, P.G., & Rose, G. (2012). Drying lakes: Sediments and dust study. Ballarat, Australia: University of Ballarat. Dahlhaus, P.G., & Rose, G. (2012). Drying lakes: Sediments and dust study. Report on Lake Colac. Ballarat, Australia: University of Ballarat. Helm, L., Fawcett, J., & Dahlhaus, P. (2012). Assessing spring-based groundwater dependent ecosystems: Case study for the Bungaree WSPA. Melbourne, Australia: Sinclair Knight Merz. Lloyd, L.N., Cooling, M.P., Kerr, G.K., Dahlhaus, P., & Gippel, C.J. (2012). Flow/ecology relationships and scenarios for the Lower Barwon Wetlands environmental entitlement. Draft Final Report. Mount Waverley, Australia: Lloyd Environmental Pty Ltd.
Cooling, M.P., Faast, R., & Dahlhaus, P.G. (2011). Confirming native vegetation objectives for environmental watering of the lower Barwon wetlands. Colac, Australia: Corangamite Catchment Management Authority. Miner, A.S., & Dahlhaus, P.G. (2011). Review of land stability at Sturgess Point, Port Campbell. Geelong, Australia: AS Miner Geotechnical in association with Dahlhaus Environmental Geology Pty Ltd. Miner, A.S., & Dahlhaus, P.G. (2011). Revision of Colac Otway Shire's erosion management overlay. Geelong, Australia: AS Miner Geotechnical in association with Dahlhaus Environmental Geology Pty Ltd.
Barton, A.B., Herczeg, A.L., Dahlhaus, P.G., & Cox, J.W. (2008). Hydrological and geochemical processes controlling salinity of the groundwater dependent ecosystems in the Corangamite CMA. Water for a Healthy Country report series. Adelaide, Australia: CSIRO Land and Water. Corangamite Catchment Management Authority (2008). Acid sulfate soils. Corangamite Catchment Management Authority Training Manual. Colac, Australia: Corangamite Catchment Management Authority. Corangamite Catchment Management Authority (2008). Landslides. Corangamite Catchment Management Authority Training Manual. Colac, Australia: Corangamite Catchment Management Authority. Corangamite Catchment Management Authority (2008). Soil erosion. Corangamite Catchment Management Authority Training Manual. Colac, Australia: Corangamite Catchment Management Authority. Corangamite Catchment Management Authority (2008). Salinity. Corangamite Catchment Management Authority Training Manual. Colac, Australia: Corangamite Catchment Management Authority. Dahlhaus, P.G., & Miner, A.S. (2008). Water quality assessment report at The Dell, Clifton Springs. Geelong, Australia: AS Miner Geotechnical in association with Dahlhaus Environmental Geology Pty Ltd. Miner, A.S., & Dahlhaus, P.G. (2008). Clifton Springs Hydro Study. Geelong, Australia: AS Miner Geotechnical. Clarkson, T., Crook, I., & Dahlhaus, P. (2007). Corangamite soil health strategy 2006-2012. A guide for investment to protect natural and built assets. Colac, Australia: Corangamite Catchment Management Authority. Cox, J.W., Dahlhaus, P.G., Herczeg, A.L., Crosbie, R., Davies, P., & Dighton, J. (2007). Defining groundwater flow systems on the volcanic plains to accurately assess the risks of salinity and impacts of changed landuse. Adelaide, Australia: CSIRO Land and Water. Dahlhaus, P.G., Billows, C.A., Carey, S.P., Gwyther, J., & Nathan, E. (2007). Lake Connewarre values project: Literature review. Colac, Australia: Corangamite Catchment Management Authority. Fitzpatrick, R., Hicks, W., Marvanek, S., Raven, M., Dahlhaus, P., & Cox, J. (2007). Scoping study of coastal and inland acid sulfate soils in the Corangamite CMA. Adelaide, Australia: CSIRO Land and Water. Dahlhaus, P.G. (2006). Colac Otway Shire salinity management overlay: Salinity occurrences and mapping. Background Report 2. Buninyong, Australia: Dahlhaus Environmental Geology Pty Ltd.
Dahlhaus, P.G. (2006). Corangamite Shire salinity management overlay: Salinity occurrences and mapping. Background Report 3. Buninyong, Australia: Dahlhaus Environmental Geology Pty Ltd.
Dahlhaus, P., & Clarkson, T. (2006). Corangamite soil health strategy: Identifying processes threatening assets and setting priorities Background Report, Corangamite Soil Health Strategy. Colac, Australia: Corangamite Catchment Management Authority. Dahlhaus, P.G. (2006). Golden Plains Shire salinity management overlay: Salinity occurrences and mapping. Background Report 1. Buninyong, Australia: Dahlhaus Environmental Geology Pty Ltd.
Dahlhaus, P.G. (2006). Surf Coast Shire salinity management overlay: Salinity occurrences and mapping. Background Report 4. Buninyong, Australia: Dahlhaus Environmental Geology Pty Ltd.
Ecological Associates (2006). Reedy Lake groundwater and ecology investigation. Adelaide, Australia: Ecological Associates. EnPlan-DBA (2006). Salinity management overlays for the Colac Otway, Corangamite, Golden Plains and Surf Coast Shires. Geelong, Australia: EnPlan-DBA in association with Dahlhaus Environmental Geology Pty Ltd, and Chris Harty Planning and Environmental Management. EnPlan-DBA (2006). Standards for building in a saline environment: Construction of dwellings and outbuildings. Geelong, Australia: EnPlan-DBA with Dahlhaus Environmental Geology Pty Ltd and Chris Harty Planning and Environmental Management. Fabris, G., Kitching, M., Gason, A., Dahlhaus, P.G., & Allinson, G. (2006). Investigation of sediment source to the lower Barwon River from the Moorabool and Barwon River Basins. Queenscliff, Australia: Primary Industries Research Victoria, Environmental Health and Chemistry, Department of Primary Industries. Nicholson, C., Dahlhaus, P.G., Anderson, G., Kelliher, C.K., & Stephens, M. (2006). Corangamite salinity action plan: 2005-2008. Colac, Australia: Corangamite Catchment Management Authority. Cox, J.W., Dahlhaus, P.G., Davies, P., & Clarkson, T. (2005). Investigation into the potential risk of acid sulphate soils on proposed development in the City of Greater Geelong. Adelaide, Australia: CSIRO Land and Water. Dahlhaus, P.G. (2005). Corangamite salinity action plan: Recharge mapping. Buninyong, Australia: Dahlhaus Environmental Geology Pty Ltd.
Dahlhaus, P.G., Smitt, C.M., Cox, J.W., & Nicholson, C. (2005). Corangamite salinity action plan: Setting resource condition targets. Background Report 9, Corangamite Salinity Action Plan. Colac, Australia: Corangamite Catchment Management Authority. Kelliher, C.K., Tucker, K., Dahlhaus, P., Nicholson, C., & Anderson, G. (2005). Investment plan: Benefit-cost analysis, cost sharing and priority setting. Corangamite Salinity Action Plan Background Report 5. Colac, Australia: Corangamite Catchment Management Authority. Dahlhaus, P. (2004). Proposed industrial waste containment facility sites at Pittong: Review of site selection criteria. Buninyong, Australia: Dahlhaus Environmental Geology Pty Ltd.
Dahlhaus, P.G. (2004). Water for Growth project: Runoff estimation, Mininera East - Stockyard Hill project area. Buninyong, Australia: Dahlhaus Environmental Geology Pty Ltd.
Dahlhaus, P.G. (2004). Water for Growth project: Runoff estimation, Winchelsea - Inverleigh project area. Buninyong, Australia: Dahlhaus Environmental Geology Pty Ltd.
Dahlhaus, P.G., Heislers, D.S., Brewin, D., Leonard, J.G., Dyson, P.R., & Cherry, D.P. (2004). Port Phillip and Westernport groundwater flow systems. Melbourne, Australia: Port Phillip and Westernport Catchment Management Authority. Dahlhaus, P.G., Muller, B.J., Dixon, M., Feltham, W., Beattie, N.M., & Smith, R. (2004). Groundwater monitoring guidelines and review. Ballarat, Australia: Geology, University of Ballarat. Dahlhaus, P.G. (2003). Process for the initial selection and validation of target areas for salinity management. Corangamite salinity action plan. Background Report 2. Colac, Australia: Corangamite Catchment Management Authority. Dahlhaus, P.G. (2003). Salinity target areas: Assessment, trends, resource condition targets and management options. Corangamite Salinity Action Plan: Background Report 3. Colac, Australia: Corangamite Catchment Management Authority. Dahlhaus, P.G., Cox, J., MacEwan, R.J., & Codd, P. (2003). Victorian volcanic plains scoping study. Adelaide, Australia: CSIRO Land and Water. Dahlhaus, P.G., Miner, A.S., & Briggs, W. (2003). Colac Otway Shire. Coastal community revitalisation project. Kennett River, Separation Creek and Wye River. Buninyong, Australia: Dahlhaus Environmental Geology Pty Ltd.
Dahlhaus, P.G., Nicholson, C., Anderson, G., Shovelton, J., & Stephens, M. (2003). Regional overview. Corangamite Salinity Action Plan Background Report 1. Colac, Australia: Corangamite Catchment Management Authority. Dahlhaus, P.G., Nicholson, C., Anderson, G., & Tucker, K. (2003). Catchment health sites, monitoring and research. Corangamite salinity action plan. Background Report 6. Colac, Australia: Corangamite Catchment Management Authority. Robinson, N., Rees, D., Reynard, K., MacEwan, R.J., Dahlhaus, P.G., Imhof, M., Boyle, G., & Baxter, N. (2003). A land resource assessment of the Corangamite region. Bendigo, Australia: Department of Primary Industries. Tucker, K., Dahlhaus, P.G., Nicholson, C., & Anderson, G. (2003). Investment plan, benefit-cost analysis, cost sharing and priority setting. Corangamite salinity action plan. Background Report 5. Colac, Australia: Corangamite Catchment Management Authority. Dahlhaus, P.G., Heislers, D.S., & Dyson, P.R. (2002). Groundwater flow systems: Glenelg Hopkins CMA GHCMA 02/02. Hamilton, Australia: Glenelg Hopkins Catchment Management Authority. Dahlhaus, P.G., Heislers, D.S., & Dyson, P.R. (2002). Groundwater flow systems: Corangamite CMA. Colac, Australia: Corangamite Catchment Management Authority. Dahlhaus, P.G., & Kinghorn, P. (2001). Black Hill Reserve. Assessment of geological hazards. Buninyong, Australia: Dahlhaus Environmental Geology Pty Ltd.
Dahlhaus, P.G., & Miner, A.S. (2001). Colac Otway Shire: Landslide risk management - Final report. Buninyong, Australia: Dahlhaus Environmental Geology Pty Ltd.
Dahlhaus, P.G., & Miner, A.S. (2000). Colac Otway Shire land capability assessment: Review of landslide risk management - Interim report. Buninyong, Australia: Dahlhaus Environmental Geology Pty Ltd in association with PJ Yttrup & Associates Pty Ltd.
Dahlhaus, P.G., Reid, M., & Cheng, X. (2000). Broken and North Goulburn Plain salinity study: Salinity processes summary. Bendigo, Australia: Department of Natural Resources and Environment. Miner, A.S., & Dahlhaus, P.G. (2000). Preliminary study of seismic risk for the City of Greater Geelong. Geelong, Australia: PJ Yttrup & Associates Pty Ltd.
Dahlhaus, P.G., Davidson, A., MacEwan, R.J., Morand, V.J., Nathan, E., Robinson, N., & Cossens, B. (1999). Bulart Landcare research 1997-1998. Ballarat, Australia: Geology, University of Ballarat. Dahlhaus, P.G., MacEwan, R.J., Perry, R.J., Fawcett, J., Paine, M.D., Nathan, E., & Morand, V.J. (1997). Landcare research projects 1995 and 1996. Ballarat, Australia: Geology, University of Ballarat. Dahlhaus, P.G., & Woof, C. (1995). Bulart salinity study II, groundwater and soils. Ballarat, Australia: University of Ballarat. Jerinic, F.L., & Dahlhaus, P.G. (1994). Bulart salinity study. Ballarat, Australia: University of Ballarat. Dahlhaus, P.G. (1992). Geological investigation of a landslide at the eastern end of the Lal Lal Falls Reserve. Ballarat, Australia: Ballarat University College. Dahlhaus, P.G., & Dorricott, M. (1990). Lal Lal Falls Reserve: Geological report. Ballarat, Australia: Ballarat University College. Dahlhaus, P.G., & Carroll, R. (1989). Ballarat industrial clay resources study. Ballarat, Australia: Ballarat Regional Board for Planning and Development and Geology Department, Ballarat College of Advanced Education. Cecil, M.K., Dahlhaus, P.G., & Neilson, J.L. (1988). Lower Barwon-Lake Connewarre study. Melbourne, Australia: Department of Industry, Technology & Resources. Cooney, A.M., & Dahlhaus, P.G. (1987). Notes on remote sensing techniques. Melbourne, Australia: Department of Industry, Technology & Resources. Dahlhaus, P.G., Cooney, A.M., & Neilson, J.L. (1987). ANZ Slide '87: field workshop on landslides, Victorian section, August 4-5, 1987. Melbourne, Australia: Department of Industry, Technology & Resources. Dahlhaus, P.G. (1986). Engineering geology of Melton - A review. Melbourne, Australia: Department of Industry, Technology & Resources. Dahlhaus, P.G. (1986). Engineering geology of Melton - Drilling, testing and mapping program. Melbourne, Australia: Department of Industry, Technology & Resources. Dahlhaus, P.G. (1986). Engineering geology of Melton - Engineering geology. Melbourne, Australia: Department of Industry, Technology & Resources. Dahlhaus, P.G. (1986). Engineering geology of Melton - Geology and geomorphology. Melbourne, Australia: Department of Industry, Technology & Resources. Dahlhaus, P.G. (1986). Engineering geology of Melton - Map presentation of data. Melbourne, Australia: Department of Industry, Technology & Resources. Dahlhaus, P.G. (1986). Engineering geology of Melton - Summary. Melbourne, Australia: Department of Industry, Technology & Resources. Dahlhaus, P.G. (1986). Engineering geology of Melton - The Melton Development Area. Melbourne, Australia: Department of Industry, Technology & Resources. Dahlhaus, P.G. (1985). An engineering geological investigation of the Urban Land Authority's property, Melton. Melbourne, Australia: Department of Minerals and Energy. Dahlhaus, P.G. (1985). Geotechnical investigation for proposed regional cemetery at Pakenham: Soil test report. Melbourne, Australia: Department of Minerals and Energy. Dahlhaus, P.G. (1985). Shire of Tullaroop: Gravel resource investigation - Laboratory test results. Melbourne, Australia: Department of Minerals and Energy. Dahlhaus, P.G. (1984). Engineering geological investigation of proposed cemetery site at Melton. Melbourne, Australia: Department of Minerals and Energy. Dahlhaus, P.G. (1984). Results of Westgate Park site soil tests. Melbourne, Australia: Department of Minerals and Energy. Dahlhaus, P.G. (1983). Operation manual for direct shearbox apparatus WF 25300. Melbourne, Australia: Department of Minerals and Energy. Dahlhaus, P.G. (1982). Engineering geological investigation of proposed cemetery site at Bundoora. Melbourne, Australia: Department of Minerals and Energy. Maged Almandalawi PhD (2017). Study on complex rock slope stability in large scale open cut mine: Mechanism and evaluation. Federation Univeristy Australia. Nathan Robinson PhD (2016). Assessing productive soil - landscapes in Victoria using digital soil mapping. Federation University Australia. Tim Evans MSc(Hydrogeol) (2006). Geology and groundwater flow systems in the West Moorabool River catchment and their relation to river salinity. University of Technology Sydney. Mark Paine PhD (2004). Distribution, character and provenance of Late Miocene to Pliocene stranded coastal sediments in southwestern Victoria. Curtin University of Technology. 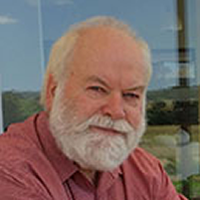 Jon Fawcett PhD (2004). Processes and implications of scald formation on the Eastern Dundas Tableland: A case study. The University of Melbourne. Grant Huggins MEngSc (2000). Electro-kinetic treatment of a quartz-illite gold tailing. University of Ballarat. Tony Miner MAppSc (1999). An investigation of a landslide in Gellibrand Marl in the Heytesbury region, Victoria. University of Ballarat. Erica Nathan MAppSc (1998). Dundas landscapes and dryland salinity. University of Ballarat.